A cancer drug developed by Swiss drug maker Roche has shown promise in significantly extending the lifespan of the patients treated with it in clinical trials. The cancer drug, named Perjeta, is used to treat cases of advanced metastatic breast cancer. Metastatic cancers are cancers that have spread to other parts of the body. The results showed that the patients treated with Perjeta had a median survival time of around 16 months more than the patients in the control group. The results of the study were presented at the annual meeting of the European Society for Medical Oncology held in Madrid, Spain. The clinical trial was sponsored by Roche and included 808 patients with previously untreated HER2-positive metastatic breast cancer. The drug was used in combination with another Roche drug known as Herceptin, or generically as trastuzumab, and chemotherapy drug docetaxel.to treat breast cancers that have high levels of the protein HER2, totaling about 20 percent of cases. The drugs work by restricting the effects of HER2, which previous research has shown to be responsible for the growth of some breast tumors. The control group received a placebo in place of the Perjeta. The results of the study are unprecedented. While previously released data indicated that Perjeta, known generically as pertuzumab, was effective at extending the lifespan of patients treated with the medication, the length of the extension was unknown as the clinical trials had not last long enough to reach a conclusive number. Not only is the median 16-month survival time unique for a drug used as an initial treatment for breast cancer, it may be the longest amount of survival time for any cancer treatment. Previously approved drugs for metastatic cancers typically extend the lifespan of the patient for only a few months. The results of the study may result in increased use of the drug to treat more cases of metastatic breast cancer, as only 50 percent of eligible patients are currently using it. For patients being treated in the United States, the overall cost for the treatment combination is roughly $11,200 per month ($5,300 for Herceptin and $5,900 for Perjeta). Perjeta received approval from the Food and Drug Administration for use in the United States in 2012. 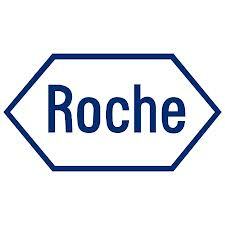 Roche earned about $408 million in sales of Perjeta in the first six months of 2014.